Silver channel set cubic zirconia ring. 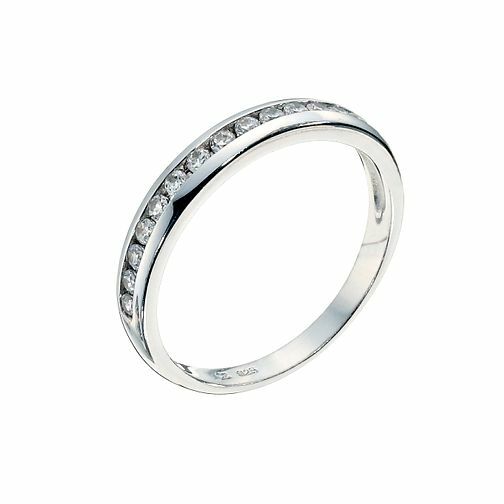 She'll love this dazzling channel set ring. Silver channel set cubic zirconia ring is rated 4.7 out of 5 by 3. Rated 4 out of 5 by Anonymous from Great quality for price. Item looks more expensive than it is and goes great with my other jewellery. Very happy with this piece. Rated 5 out of 5 by Anonymous from Beautiful This is a very pretty ring and looks more expensive than it is. Classy and subtle.